1. 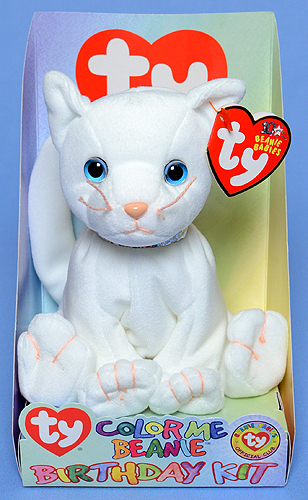 The Color Me Beanie Birthday Kit cat came in the Beanie Babies Official Club (BBOC) Kit for the year 2003. 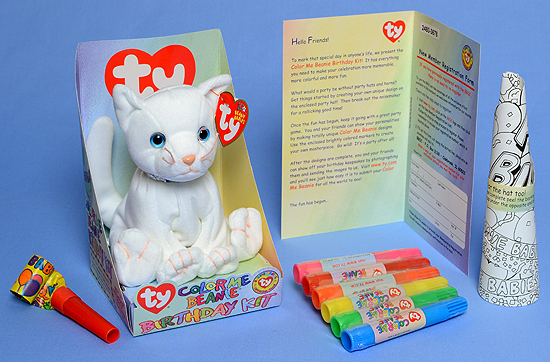 This kit was a clear plastic case containing a Color Me Beanie cat, six assorted water soluble, color markers (to color the cat), a paper party hat to color, a party horn and a BBOC membership application card. 2. 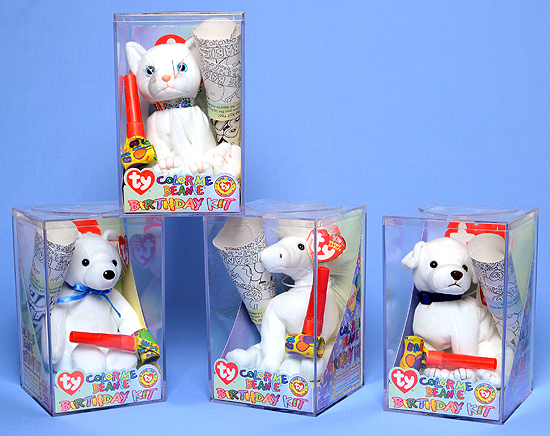 In 2003, the BBOC Kit contained any one of four different animals; the cat, a bear, a dog or a unicorn. The bears were available wearing one of five different color ribbons. The cat and dog came with collars and the unicorn came only with its good looks.